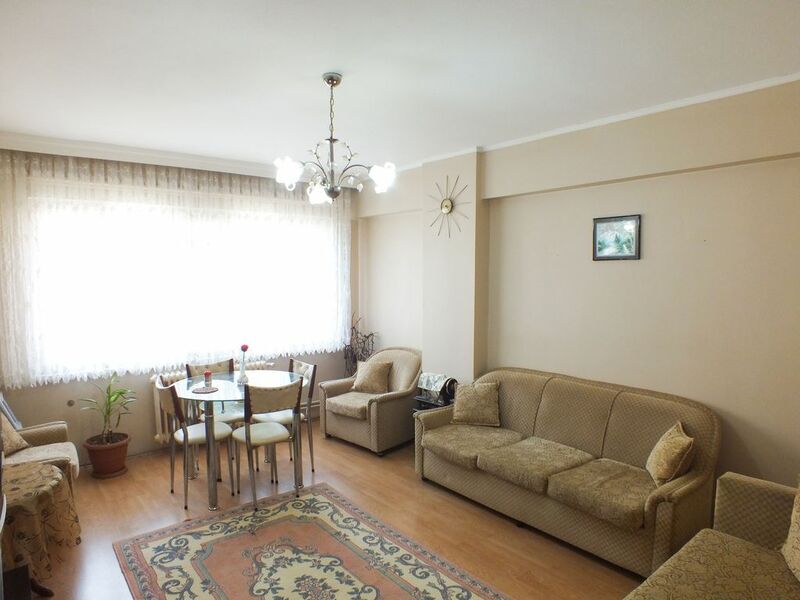 This 2 bedroom fully furnished flat is located in the heart of Bursa city center.Easy access to all of Bursa's extensive range of attractions.Located on the secondt floor of 6 story building.Total space is about 90 square meters.Very comfortable for couples and small families.The living space is warm, bright and offers plenty of sitting space as well as entertaining space. There is one living room with TV, WIFI connection,dining table with 4 chairs,two double convertible sleeper sofas.The kitchen is well equipped with fridge,dishwasher,washing machine,water purifier,pots,pans and cutlery. Walking distance to all kind of transportation means,tram,metro/subway/tube,taxis,public buses. There is 4 car garage belongs to the building.The neighborhood is family friendly and an overall very safe area.The flat has everything you need for a comfortable stay whether you are here on business or for pleasure.Close to shops, cafes and restaurants you will find everything you need within walking distance.